February 2010 brought the biggest snow storm to Maryland in almost ninety years. "Snowmageddon" managed to close every DMV school, college, and Washington D.C. monument for a week. The school year had barely begun and I was already getting a break. After the absolute madhouse 2009 had trapped me in I wasn't complaining! Except now I was officially waist deep in snow and art classes. With nearly all of my Gen Ed requirements filled, the majority of my classes were art classes with long art labs. One of my favorite courses that year was a Black & White photography. I shot many of my assignments using my mom's old Mamiya Twin Reflex camera. And the craziest part? It was the same camera she used to photograph weddings way back in the day. That Spring I took 15 credits and commuted 40 minutes to school 5 days a week. In May, I had a week of final exams/projects followed by two back to back weddings in two different states. At the same time I was an active part of an admin team at church for the youth and participated in a weekly bible study group of college aged kids. On top of ALL that, in the Fall I decided to join the Musical Theater Club on campus and rehearsed most week nights. I was stretched to the limit. It was hard work and, honestly, not always good work. More often than not I felt like I was doing too many things and none of them very well. I was overworked and frequently discouraged. Looking back, I'm aware I could've done things differently. I could've taken less credits, turned down more weddings, or stepped down from my church responsibilities. And maybe I should have. But, 2010 was one of the funnest years of my life. Because I crammed in so much I didn't waste one single moment. I'm convinced single and in college is one of the best times of your life. No high school drama, no relationship drama, just new friends, new experiences, and the best of times. My final project for Black and White Photography is still one of my favorites and something I'm deeply proud of to this day. 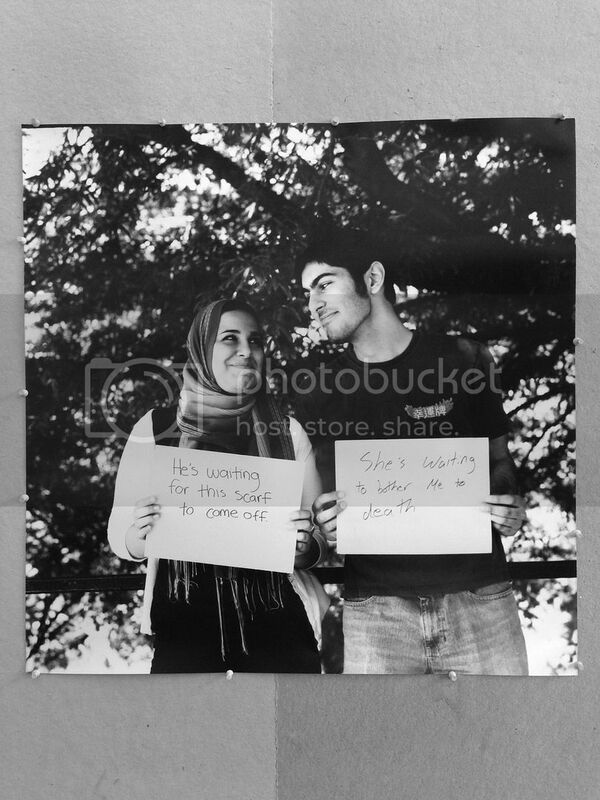 The idea was to find people waiting at the bus stop and ask them the question, "What are you waiting for?". Sounds simple enough. It was actually one of the more nerve wracking things I've ever one. I had to push out of my "socially acceptable" bubble and approach people who clearly didn't want anything to do with me. I also wanted my project to show the full spectrum of age and race which also made it a waiting game to see who would show and if they matched the category I was looking for. In addition to all of this, I was photographing using my mom's twin reflex camera again which wasn't the most reliable piece of metal. Thankfully, in just one trip, I found some great subjects. After the typical "I'm waiting for a bus" response, I would challenge them to go deeper. The result was amazing. I got some beautiful, charming, and raw answers. My final project was five photos mounted on photo board and one 30x30 mural print. All shot on medium format and 35mm film. "I'm waiting for a great opportunity." "I am waiting to buy a car so that I will never have to wait on this bus-stop." "I'm waiting for things to be quiet at work." "I am waiting for Eden." "He's waiting for this scarf to come off". - "She's waiting to bother me to death." The story behind this last photo is one I've told before but love to tell again and again. The role of film with the images of these two didn't turn out at all. I brought along my 35mm Canon as a backup, but to my horror, that role was also blank. I remember fleeing the darkroom in tears and having a good long cry on the phone with my brother. This photo was THE key shot in my final project and by far my favorite photo! Heartbroken and discouraged, I reloaded all of my equipment and went back to the bus stop the following week. I was convinced I wouldn't find anyone as interesting. Hours went by and still nothing as good as the lost photo. I was about to pack up and leave when, what do you know, the exact same couple sat down at the bus stop. My jaw dropped and I ran over to them as fast as I possibly could. They recognized me and I asked them if they remembered what they wrote the week before. They said they did and we recreated the lost photo. It was a miracle. Summer brought more amazing weddings and a few engagement shoots. I also got a kitty who has brought love out of me that I'm afraid not even my future children will command. The last week of June I photographed this memorable wedding at the Lodge at Seneca Creek. I so wish I had a second shooter that day who could've photographed what I looked like while I took these photos. You see, the wedding party was barely ankle deep in the water. I, on the other hand, was above the knee in slimy, mossy water with all my lenses, camera, gear, etc. It was probably really stupid of me to do that with all my equipment on me but….you learn as you go along, right? One week later I walked into the chance of a lifetime. Some time in 2008 a girl named Ruth saw my photos David & Sarah's wedding on author Carolyn McCulley's blog. She bookmarked it and followed along until 2009 when she got engaged and decided to write me an email. "Since we've been planning to get married I kept thinking - is there any way I could get Lydia Jane to do it...So I thought today, even though it's quite a longshot, I'll just email you and see what you think." Whaaaaat are you kidding me! London?? I was a 21 year old college student who still lived with her parents! How could this be happening to me!? Well, get this. A few weeks into our emails Ruth mentioned one of her fiancee Reuben's distant cousins was also getting married. The week before, in fact! And they were also looking for a photographer. So, on July 3, 2010 I photographed James and Christine's wedding in London. And exactly one week later I photographed Reuben and Ruth's wedding. One thing to say here. There are some things that take blood, sweat, and tears to make happen and some things that fall into place like an act of God. This was the latter. There was no way I brought this connection about. I didn't ask Carolyn to post the photo on her site, she voluntarily (and kindly) credited me, and Ruth randomly clicked on the link. Notice one thing that is not involved in any of those steps: Me. I'm amazed when I look back and see the way God blessed my business when I was too busy to even try and make it happen. There was no way a college student like me would have even thought to "widen my market" or target International clients. Haha, no way. But it happened. And, oh my, was it amazing. We photographed in Leadenhall Market where they shot Diagon Alley in Harry Potter and next to part of the old London wall that surrounded the city 200 A.D. No biggie, right? This is a crappy photo (I don't know was thinking) but I had to post it so you could get an idea of how breathtaking the reception was. I don't think I'll come close to anything like this ever again. Best friend Kristen tagged along for the trip and we had the best time frolicking around the British landscape. Actually, I was a stressed out mess most of the time. Gimme a break guys, I was 21 and running my business internationally for two weeks. My brain was having an explosion moment. It's hard to balance work and play when you travel. You want to see the sights, but don't want to risk getting sick or breaking your camera before the event. But I'm so grateful I had Kristen on this with me. Typically I'm all by myself and adventuring alone doesn't quite hold the same appeal! Funny story. Here we are two photographers in England, right? We take a beautiful, sunny week day trip to Brighton….and forget the memory card to our camera. So we went to a drugstore and bought two disposable cameras. I actually love the crummy quality. Somehow it captures our footloose and fancy free adventure perfectly. Two days after returning to the States I photographed a double header wedding weekend. Have you noticed yet that I can't say no very well? Well, it's true. And something I'm determined to work on this year. Packing in too many weddings is not only unfair to me but also unfair to my clients. So, put that on my 2014 "Do better, Lydia" list. I managed to survive July and jet lag and August brought my most popular wedding of all time: Ian & Larissa Murphy's wedding. To give you an idea of how popular Ian and Larissa's wedding is, I compared hits from their wedding to my second most popular wedding (McKenzie & Jamie) from 2012. The result? Ian and Larissa's wedding has 184,853 more hits. Yeah, it's insane. I knew people would love Larissa's style, love the bridesmaids dresses, and of course, love Ian & Larissa's amazing story. But I wasn't prepared for the sheer volume of viewers or the backlash of haters. Ian and Larissa's story isn't comfortable. It isn't Disney. It's real and it's brave. It's loving despite misfortune and enduring despite difficulty. It's about love as an action and not just as a feeling. And that is bound to upset a lot of people who are only "all in" when they're having fun. I had a lot of people hate on Ian, Larissa, and my photos. It was shocking, really, the things they said. A lot of it I wish I could forget. It was rude and cruel and shameful. I had to call Larissa and tell her to not read the comments while I struggled to delete them! But then my blog was posted on Reddit. The cup that was already full just went into full overflow mode. In the first day, my blog got over 54,000 page loads. The next day that number climbed to over 97,000. There were pages and pages of discussions about Ian and Larissa's relationship. Thousands of people taking hits at my friends and my photography. It was the first time I encountered any kind of hate in response to my photos. Sure, there were people who loved the wedding and loved my photos. But, it's always the mean stuff that stick in your mind. It was a real growing period for me. I realized that I could have posted the pictures and none of the story and you'd probably never have noticed Ian's condition. I could have left God out of the story and made it "friendly" to everybody. But, that wouldn't have told the whole story. What happened was simply the consequence of telling the truth. Looking back, I feel proud to have gotten so much hate from that blog post. Because I told the truth. And I always want my photos to tell the truth. Photographing Ian and Larissa's wedding was one of the highlights of my career. I've never felt so emotional while shooting and doubt I will again. It was an honor is the truest sense of the word. I'm so blessed to be friends with these two. If you haven't read their full story definitely do that here. They're writing a book too! September brought the beginning of the fall semester at UMBC. Fall on campus was always my favorite. You get to crunch leaves on the way to class and do outside assignments. Fall 2010 I took Studio and Landscape photography. Neither of them were my 'speciality' so it took a long time for me to get comfortable. I will tell you this, it's a very humbling experience to do something you're good at on the weekends and then go back to class and feel like you're seven years old trying to learn to use a camera for the very first time. Many of my assignments were completed using a beautiful 4x5 large format camera (shown above). It's just like the stuff you see in old movies. You put the cloth over your head, slide your film in, focus, press the shutter, and slide the film out. The only thing missing is the giant light bulb going "ka-chingk!" over your head. I got the most severe work out carting that camera around campus. It was a whole-body relief when we were allowed to shoot digital for our final projects. In Studio Photography, I created a Mad Men-esque series using a couple flash units in my unfinished basement. I went all out for my Landscape Photography final. Having seen some of Catherine Opie's photos of freeways in California. I decided I wanted to do a series on highways in D.C. and Maryland. For weeks, I would wake up before dawn, drag my sweet dad out of bed, and make him drive me 30+ minutes to take photos of these beautiful manmade creatures. I really do have a crush on highway ramps. I think they add such interesting shapes to the landscape. I love how light falls on parts of them and geometric shadows swallow up the rest. I love how they intertwine like concrete arms as they rise and fall. I mentioned dragging my dad out of bed. He actually volunteered, which is exactly like him if you know him. He's the best. He knew it would be dangerous and precarious for me to try and pull over next to cars going 80 mph and get out with my camera and take photos. The angles I wanted to get weren't always right next to the road either. In some cases I spent 5-10 min climbing through plants and prickly thorn bushes to get to height I needed for the shot. Projects like this one make me so grateful for my time at UMBC. There's no way in hell I would have gone out and done this for fun. It was a lot of work. But, it was something that always interested me and Landscape class gave me the perfect excuse to do it. Amazing what wanting a good grade will do to motivate you! I was out to prove something to those who didn't think I could do weddings and school. But, more importantly, I was out to prove it to myself. I felt like it was possible but now I really needed to know. This is about the time I decided I would try and keep up my 4.0 grade point average until graduation. Up until now, my classes were easy enough that it wasn't hard too do. But in 2011 I'd be taking more art labs, an upper level writing requirement, Senior Projects, Bowling (?! ), adding a Print Media minor to my transcript, and running a Hallspace Gallery for Independent Study credits. It was starting to look like a crazy idea. Would I make it to graduation with a 4.0 GPA? Would I keep shooting a full load of weddings during my senior year? Would I lose my mind? Find out tomorrow in Part VI!